Los Angeles, July 16 – A&E Network’s critically acclaimed award-winning original docuseries Born This Way keeps adding up honors, with four more Emmy nominations this year, bringing the total to 13 nominations and three wins including the Emmy for Outstanding Unstructured Reality Series in 2016, and for Casting for a Reality Program and Cinematography for a Reality Program in 2017. Produced by Bunim/Murray Productions, Born This Way, an unscripted reality show, follows a group of seven young adults with Down syndrome along with their family and friends in Southern California. Because its focus is on showing their everyday lives, including employment, efforts for independent housing, loves and more, Born this Way breaks down stigmas surrounding disability. This year, Born This Way is nominated once again for Outstanding Unstructured Reality Program, Outstanding Casting for a Reality Program and Outstanding Cinematography for a Reality Program, as well as Outstanding Picture Editing for an Unstructured Reality Program. The inclusion of John Tucker who is African American, Elena Ashmore whose mother is from Japan and whose storyline includes the immigrant experience and Cristina Sanz who is a Hispanic woman is important for several reasons. One is that when disability is depicted in pop culture, it tends to be all white. Real story telling requires exploring people with multiple minority status (i.e. African American + disability). Secondly, far too many African Americans and Hispanics/Latinos in America who have a developmental disability are not receiving the diagnosis, school accommodations and high expectations they need to succeed. Today only 65 percent of students with disabilities graduate high school and only seven percent complete college. In addition, there are 750,000 people with disabilities behind bars in America – and the majority of them are people of color. Last year was the first time the Television Academy presented an award for Casting for a Reality Program, which Sasha Alpert and Megan Sleeper won for Born This Way. Disability often is absent from mainstream film and television — both the depiction of it, and even when a character has a disability, the actor often does not. According to the 2017 Gay & Lesbian Alliance Against Defamation (GLAAD) report Where We Are on TV, the number of regular primetime broadcast characters who have a disability is at 1.8 percent, representing only a fraction of the one-in-five individuals who has a disability in the world today. 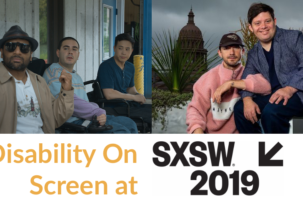 Moreover the Ruderman White Paper on Disability in Television report found that an actor without a disability plays more than 95 percent of characters with disabilities. Furthermore, a recent report by The Media, Diversity, & Social Change (MDSC) Initiative at USC’s Annenberg School for Communication and Journalism found that only 2.7 percent of all speaking or named characters in film were shown to have a disability in 2016 (up from 2.4 percent in 2015). None of the leading characters were from an underrepresented racial/ethnic group or the LGBT community. 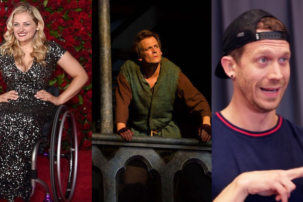 Ashmore, Tucker, Sanz and the other cast members, along with their families, are models of how disability can and should be accepted and addressed in minority communities. They are not alone as there are many role models who are African American, Hispanic/Latino or another minority with a disability. But the lack of self-representation points to a systemic problem of ableism—discrimination against people with disabilities—in the television industry. It also points to a pervasive stigma among audience members against people with disabilities given that there is no widespread outcry against this practice. 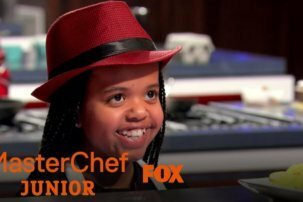 During its first season, Born This Way grew across all demographics each episode, with adults 25-54 up 84 percent, adults 18-49 up 64 percent and total viewership up 67 percent by the end of the season. According to the U.S. Census, one in five Americans has a disability. Currently 70 percent of working-age people with disabilities are not working — even though most of them want jobs and independence. The numbers are even worse for people with Down syndrome. According to the National Down Syndrome Society, there are more than 400,000 people with Down syndrome. Many studies show people with disabilities, including those with Down syndrome, can work successfully and live relatively independently. The individuals on Born this Way prove this since several are productive employees and several are business owners as well. Since the premiere of Born This Way, there has been good news on the employment front. There were four times as many new jobs for people with disabilities created in the U.S. in 2016 versus 2015. 343,483 new jobs were filled by people with disabilities. Love this show! Really wish the video at the end of the article was captioned, though.